My brother in law, Andy and his better half, Frances were once again spending a week in Tenby or as Frances calls it “Paradise”. 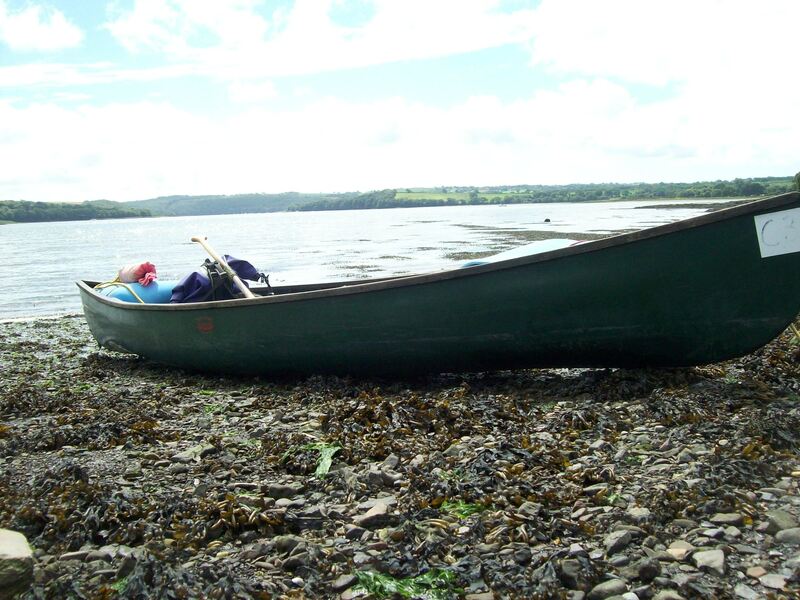 To avoid the crowds and shopping Andy and I decided to take my canoe for a paddle on the Cleddau Waterway. 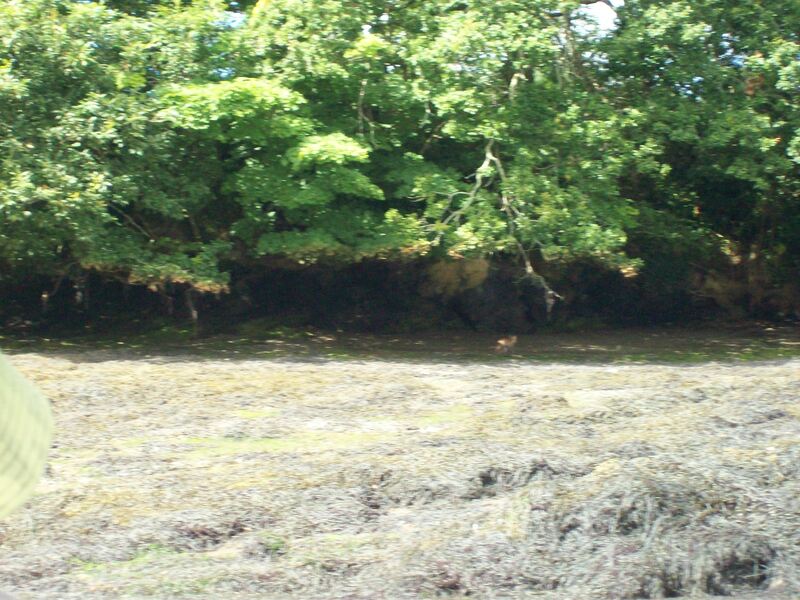 We launched from Black Tar, not far from Llangwm and headed upstream with a rising tide. The last time we paddled here we saw two foxes walking along the waterline and today we saw four, two of which may have been cubs. it is not often you see these animals in broad daylight but they seemed to be enjoying the sunshine. 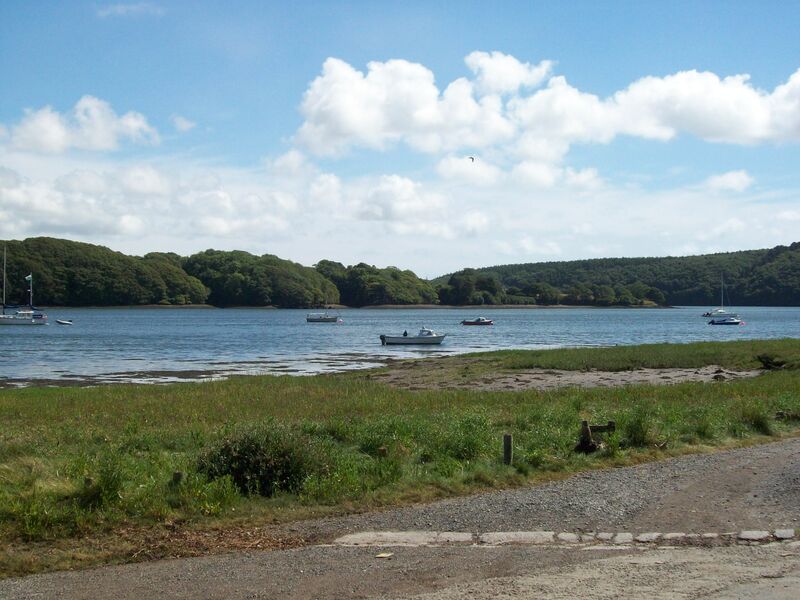 Our route took us past Landshipping and towards Haverfordwest. With the lack of current paddling time and knowing we would face a strong headwind on our return we found a suitable place for a coffee and then headed back downstream. 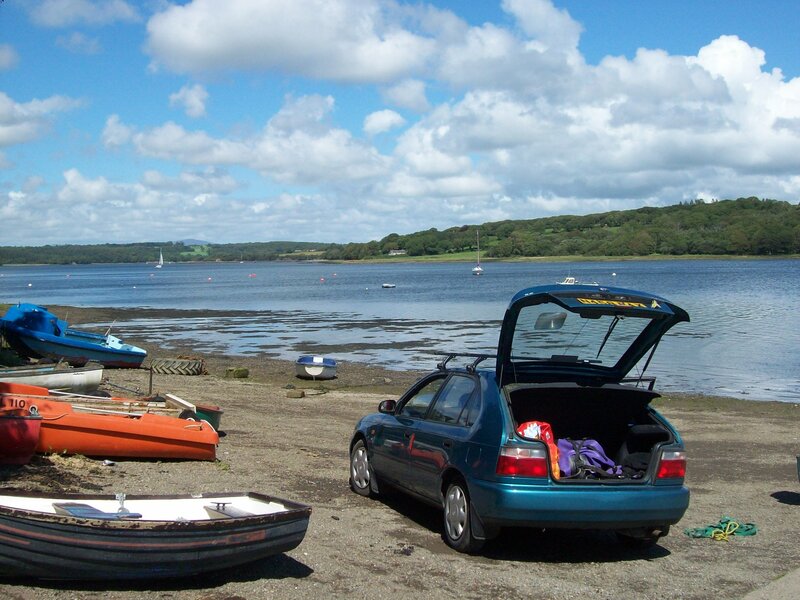 We turned into the Eastern Cleddau for lunch stopping where we have previously wild camped. Across the water we saw two inflatable canoes which were making slow progress as they headed against the wind. Halfway back to Black Tar we caught up with them and later met with them at the egress. 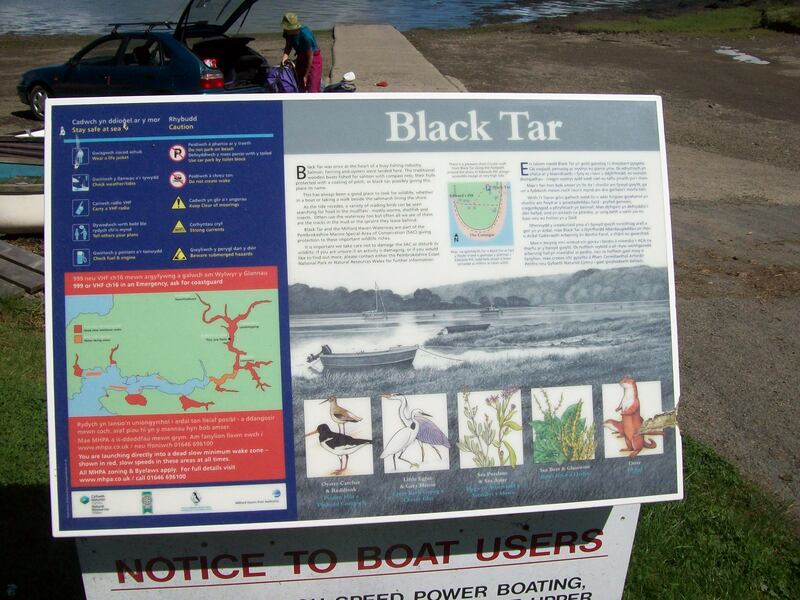 They admitted it had been hard work but the canoes did have fixed rudders which helped the boats from being blown about. 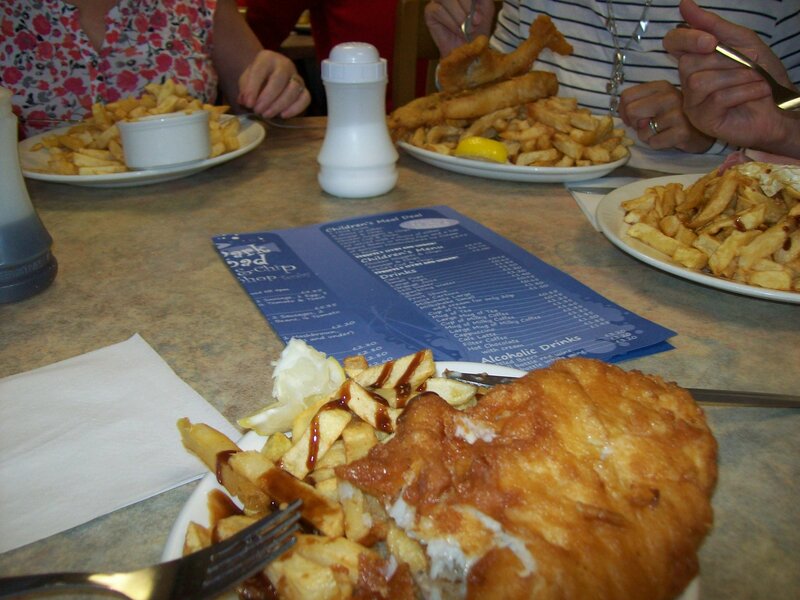 Back in Tenby we celebrated with a huge fish supper!